On Kickstarter 50 percent of campaigns that used video were successful versus an only 30 percent success rate for campaigns without video. Using video is crucial for success of your crowdfunding campaign, but a bad video can destroy the chances of a good product being funded. These are some simple tips to make an engaging, result-producing video. One of the worst things you can do for your crowdfunding campaign is to not thoroughly plan out your video. Your video is a viewer’s first impression of your campaign. No one is going to read through your prizes or look for more information on your campaign unless they like your video. Writing a script is key for the success of your video. At the 30 second mark, you’ve already lost about one third of your viewers according to TubeStart. This means in the beginning of your video you only have 10-20 seconds to grab your viewer´s attention. Your video should also only be about 2-3 minutes, meaning around 375 words. With so little time to convince your viewer to pull out their wallet and hand over their hard earned cash, every word counts. That is why thoroughly planning out and sticking to your script is very important. Do not aim to explain every single benefit of using your product. People have short attention spans and just want to be told the key points. The same goes for rewards. State 2-3 key rewards for donating, but mention there are more if they read below. When you write out your script also be sure to plan out every scene. When are you going to switch from scenes of the production of your device to scenes of your product in action? How many of your coworkers are you going to introduce or show in a shot? When do people enter or exit a scene? A step-by-step guide to your video will help keep your production costs down by reducing shooting and editing times. Your video is a reflection of your company. If your video looks unprofessional people will assume your company isn´t serious and is disorganized. Whoever appears in your video should look professional. This means well groomed and dressed to fit the part. Depending on the style of your content dressed to fit the part could mean different things. For comedy jeans and a T-shirt might fit best, while some types of services would best be suited with a suit. No matter what style you choose no one in your video should wear distracting shirts or shirts with sayings on them that could be offensive to anyone in anyway. If your video is poor quality, people will assume your product is also poor quality and shoddily made. One of the most critical components of your video is lighting and sound. In my article Stop Outsourcing Things you can Do Yourself I give several tips and share a video on how to do professional looking lighting at a fraction of the cost. In terms of lighting, your shots should never be too dimly lit. The subject should be shown in attractive lighting that does not create excessive contrast nor emphasize unfortunate features. Try a three point lighting system with the primary lighting being natural lighting from a window or skylight. Sound is just as important as lighting. Even if your product looks attractive, you won’t be able to sell much if no one can understand the benefits you are listing. Make sure that there are no distracting noises in the background such as other people talking or animals making noise. The primary focus should be on you and what you are saying or showing. When it comes to sound, wind is not your friend. Windscreens are always an option to reduce wind and get a clear sound, but we recommend using a Lavalier microphone. These microphones clip on to your shirt and connect directly to your camera for clear sound without the use of a windscreen. Another bonus of Lavalier microphones is they can be purchased for as little as $30. 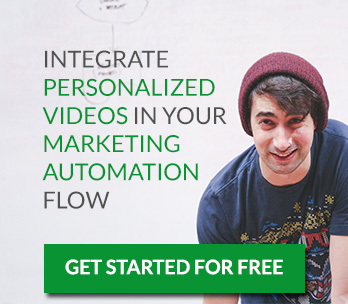 Web video crowdfunding, crowdfundingvideo, kickstarter, videomaking, VideoMarketing, videoproduction, videotips. permalink.